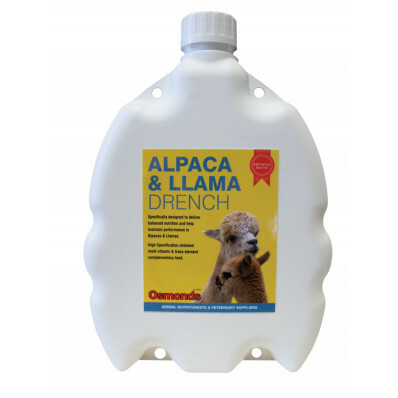 Specifically designed to deliver balanced nutrition and help maintain performance in Alpacas and Llamas. High specification chelated multi-vitamin & trace element complementary feed. This product contains copper and is only suitable for animals whiere a copper deficiency has been identified. Can be given pre mating or any other time when an energy / nutritional boost is required. 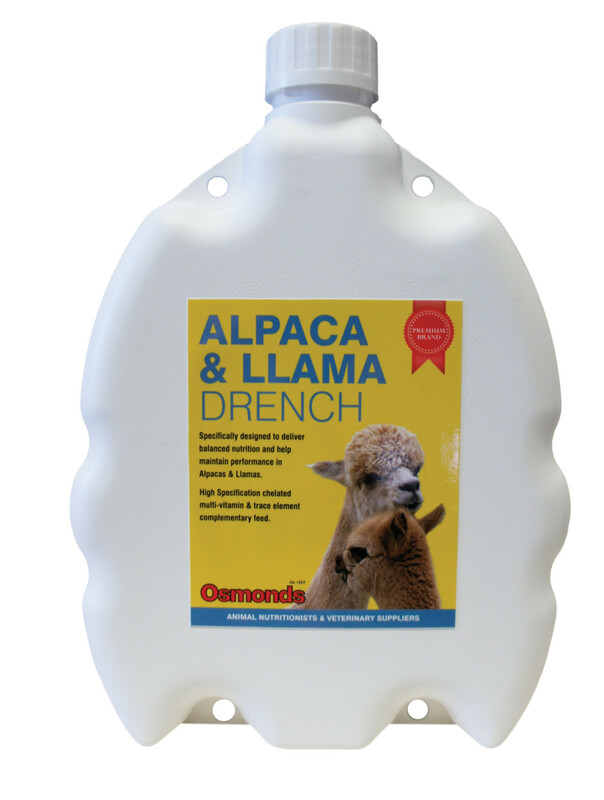 Do not exceed 30ml per animal per drench. This product contains copper, do not feed to sheep. Administer orally using a drenching gun.